Sharpen your hatchets, because May is all about fighting humanity’s greatest enemy: plants. You’ve probably twigged that means Solak, our newest boss, whose bark is just as bad as his overbite. But it also means an Overgrown Idols woodcutting update, a mysterious quest that has its roots in the earth, Postbag from the Hedge parcels delivered every day, and Cherryblossom outfits. Let’s start with Solak. The hulking shrubbery is a deathtrap who is going to take some skill to deforest. There are two ways to take it on. There’s the duo-mode Solak, which is aimed at being the most emphatic combat challenge in the game. Then there is the seven-player mode which we hesitate to call accessible, but is less likely to send you directly to Death’s office without passing Go. Solak has made his home in the Lost Grove, in the large arena at its centre. Here, you’ll find Merethiel, an ancient elf whose story entwines with Solak’s. Over the course of the fight, you will be battling alongside her, working to free Solak from the grip of her brother, Erethdor. 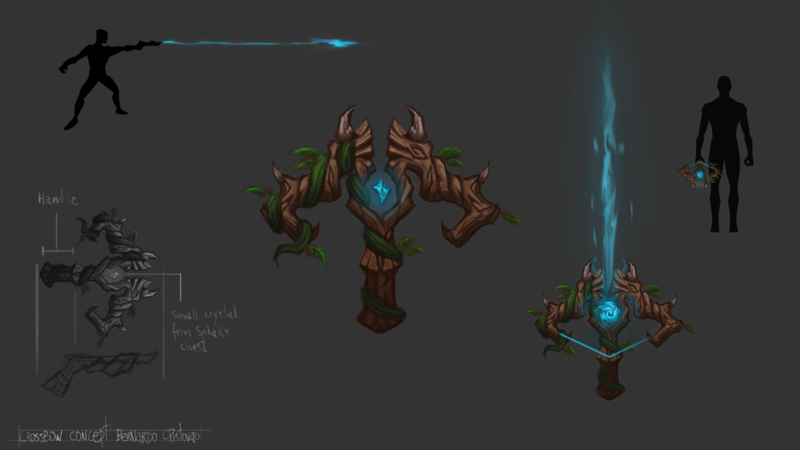 For those who topple the tree, rewards will blossom, the greatest of which being the Blightbound Crossbow. Go on, be the first to get one. There are no requirements to attempt Solak – emphasis on attempt – and all you need is a team or partner you can trust, as well as the ability to work together. Overgrown Idols isn’t a talent show for hairy people: it’s a new woodcutting training method at level 81, and it’s a welcome alternative for those who need a break from Choking Ivy. Travel to Karamja, where idols to the lost Karamjan Gods are in ruin, overgrown with the plants of the forest. Chopping them will reveal the idols underneath, which you can touch to receive boosts to your Woodcutting abilities. It’s up to you: bring those boosts to other Woodcutting methods, or benefit from them at Overgrown Idols. Oh dear, you seem to have handed me the reins to the Month Ahead. An unwise move. Know this, reader: in May, you are mine. You are in debt and I will come to collect. You can do what all adventurers do, and try to talk, puzzle or fight your way out of it, but this little quest is different. It’s not someone else who is in trouble. In this quest, YOU are the one in distress. Hopefully that gives you at least a smidgeon of an idea of what to expect. Sounds rather pleasant! Still vaguely in the plant theme (because, you know, hedges), we bring you a little gift each day of May. Parcels from the Hedge delivers a parcel from well-known characters of RuneScape, direct to your backpack, and if you're lucky, you will receive something highly desirable from your favourite quest characters. This is an event in the vein of an advent calendar, for those who like a daily treat. Let's take you into Ninja country for a moment. After the Ninja ingame poll, May sees the release of some of the winning options. This includes a Waterfall Fishing teleport crystal, and an all-in-one God Wars soulstone that allows you to store killcounts to access boss rooms of your choice. Perhaps Tears of Guthix is more your jam. Similar to Old School's improvements, we're planning to make streams last longer and to have fewer delays when you move from one to another. 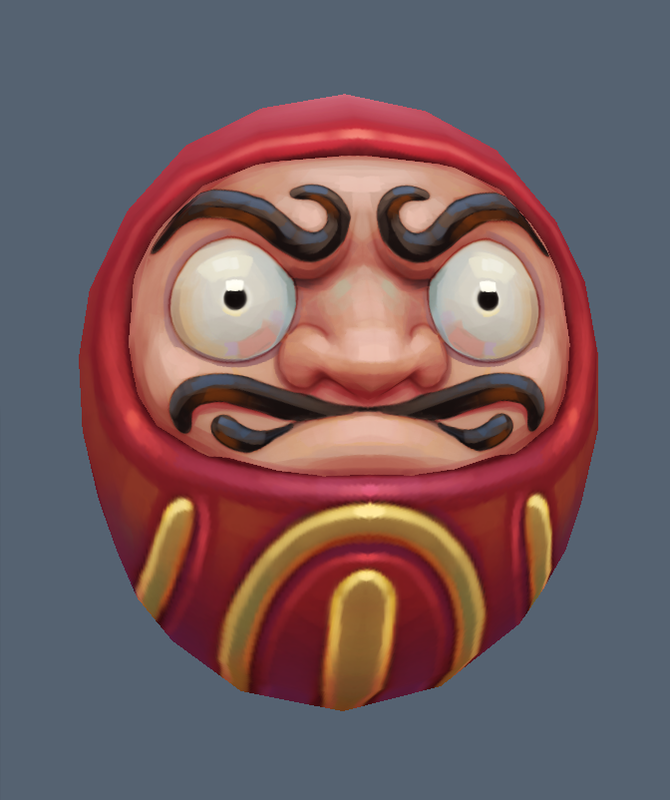 Add in some corrupted slayer helm improvements to make them THE item for catching souls, and you have a top notch Ninja month. Let’s pick up that plant theme again. Players purchasing RuneCoin bundles from the 21st May will receive Cherryblossom items. Four items will be available via these bundles, including a fabulous cherryblossom parasol, while a Doruma pet will be added to Solomon General Store, purchasable via RuneCoins. Next up is something we feel passionately about: Mental Health Awareness Week. Running from the 14th to the 20th May, we will be bringing you an event similar to the previous Gielinorian Givings, in which you can gain goodies like a Yeti pet and new weapon overrides with all proceeds going to CPSL Mind, Prince's Trust and YMCA. Finally, Solomon will be holding a four-week summer sale, with new items being added every week. We’ve come to the end of the Month Ahead, and I think we’ve been pretty restrained on the tree puns. Regardless, we think al-der updates will be hugely poplar, and that there is plenty to pine for. We’ll see yew in June-iper for Elite Dungeons. Looking forward for that quest. Nothing else really caught my eye. Not a team bosser either. Only thing that interests me is the mental health awareness week. Kudos for doing that. Otherwise the updates are underwhelming. New quest always looks interesting !! I commend the support of the mental health. I always give my support there. Kudos for that !! Solak better have a pretty high drop rate for all of his items if he's actually as hard as you're making him out to be. It's kind of hard to make a boss that difficult in an rpg without either making it heavily skill-based or frustratingly random. A boss that more people probably want cancelled than released (noone wants 7-man bosses, and if you can make it duo you can sure as hell make a solo mode too/instead of the almost certainly dead-on-arrival 7-man). A boss that was born of a poll asking what group size players wanted, where 2 and 3-4 had VASTLY more support than anything higher (and solo wasn't an option because the developer likes groups...). A boss coming off the back of a 'yearly content survey poll' where we voted for a solo boss. I have high hopes for Elite Dungeons; they sound to be what Solak SHOULD have been. Can't wait to see how hated Solak is, and eventually abandoned by all but a few, just like AoD. Tell me, if (or when) 7-man mode is vastly less popular than duo mode (which you've gone out of your way to make harder for NO REASON except to annoy the vast majority who prefer this sort of thing to 7), will you finally get the poll results and playerbase preferences through your skulls and stick to making bosses that 1-5 people can take on? You've done poll after poll: almost no-one wants anything larger than that. Over a third of the player base prefer soloing, and a boss that can be done by (maybe scales to) 1-5 people would fit the preferences of nearly 90% of the players!!! A woodcutting update that does sound good (though seems more like yet more training, rather than rewards, when skills are now insanely fast and lacking in reasons to train) and a quest (always nice to have). Free stuff we don't need in the slightest. Ninja is always fair enough. And then MTX , charity and MTX. At least the MTX seems to be cosmetics, so kudos on that.... except we all know you're going to keep selling XP via ridiculous promotions too, so you don't get a cookie. I am happy we're getting a new quest bringing us closer to that 400 qp marker and Spot the black dragon.